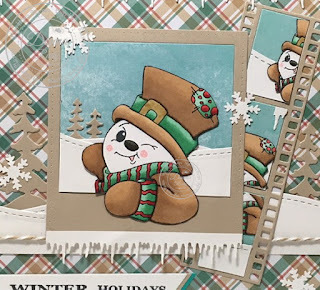 Our winking snowman friend has gone on a winter holiday. Of course he went somewhere cold so he doesn't melt! He stopped to take some selfies along the way and is sharing his favourite one with you........along with a few that didn't work out so great. 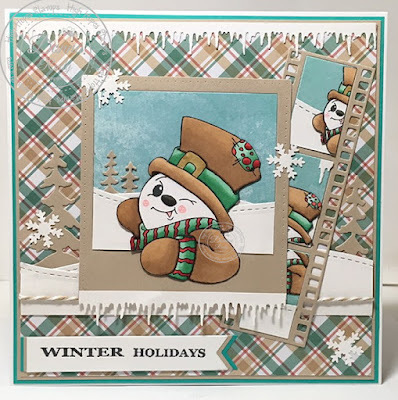 I used the Winking Snowman and the Mini Snowman set to create my card and with some masking magic (okay a post it note) I used two different sentiments to create one new one. After colouring my stamps and hand fussy cutting them I ran a black maker around the edge to get any white I may have missed. Next, I cut my cardstock, patterned paper to size. Since I had my Big Kick warmed up I cut my polaroid frame and filmstrip at the same time. I built my scene using a stitched border die and pine trees. Then came the fun! 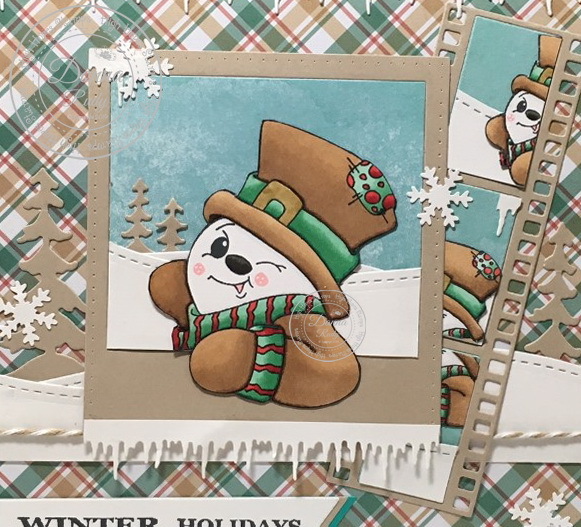 I coloured two of the matching mini winking snowmen and cut them in half to make my "selfies gone wrong" in the filmstrip. 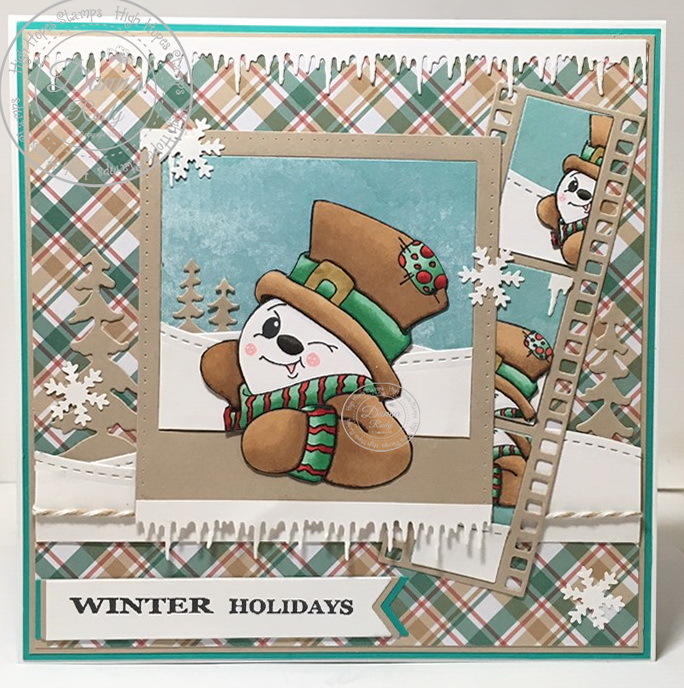 Some icicles, twine and a few snowflakes finish off my card. 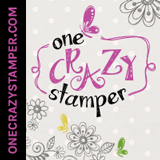 Be sure to stop by the One Crazy Stamper Facebook page and blog for daily inspiration from the design team!